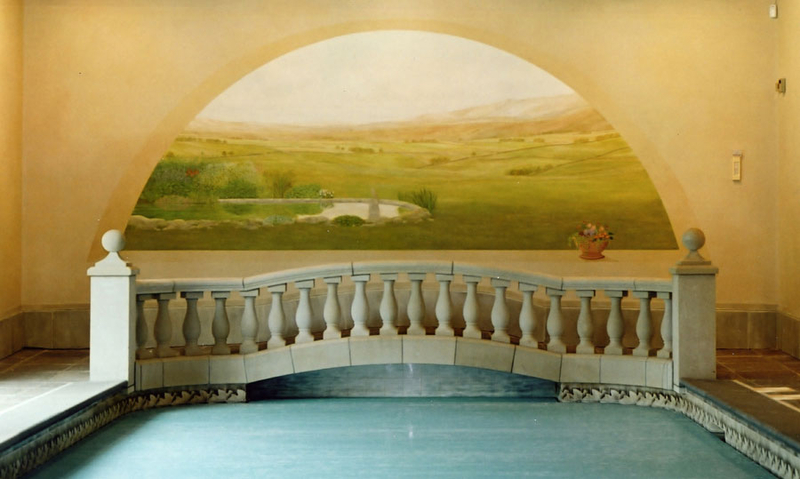 This hand painted window mural was painted in a private swimming pool and measured over 20’x7′. 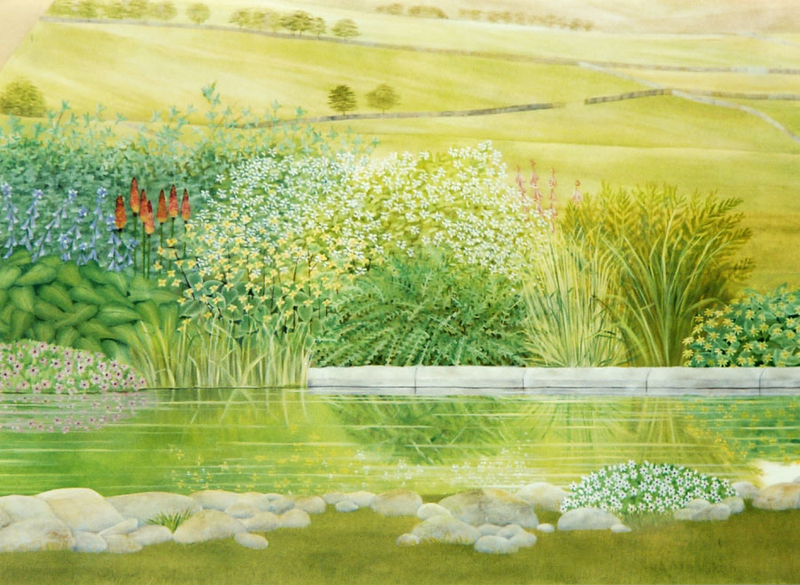 The mural created the illusion of a giant window with a classic Dales views beyond. To get a real sense of perspective the foreground was painted in exquisite detail. This not only gave depth to the hills behind but meant that even upon close scrutiny the illusion held up. 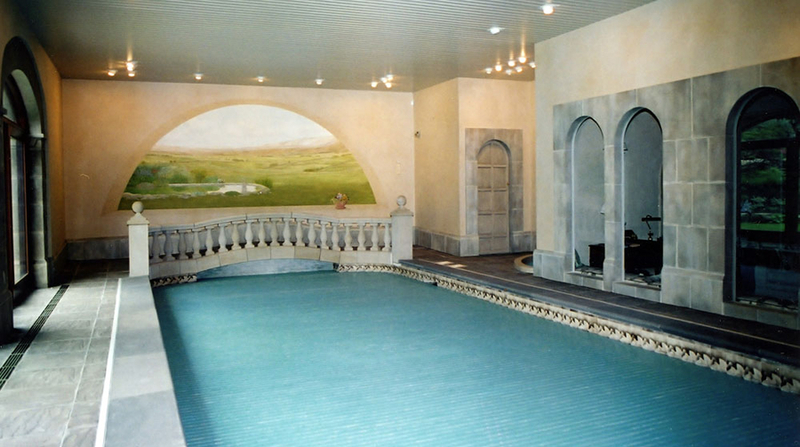 Other parts of the project included a three-tone colour wash on the walls, faux stone around the windows, trompe l’oeil niches and several faux oak doors. 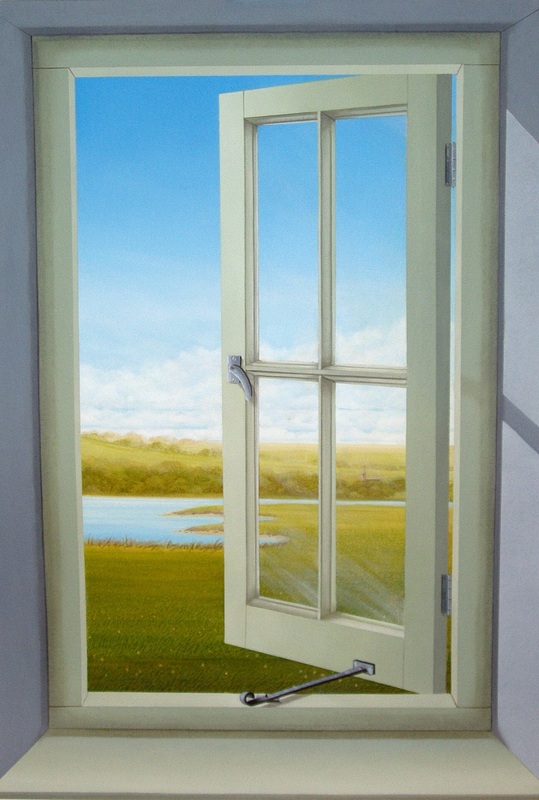 This trompe l’oeil window mural was painted to create a view where non really existed. The view I painted shows the lake and grounds of Ripley Castle. 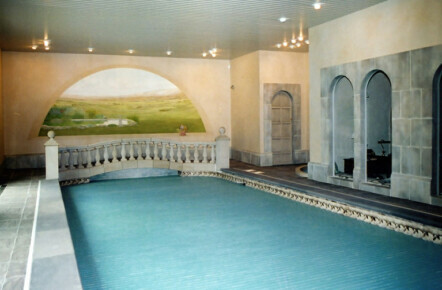 Over the years as a trompe l’oeil artist I’ve painted all sorts of windows in all sorts of rooms. They are a fantastic way of making a room feel bigger than it is and a fun way of adding visual trickery. Trompe l’oeil windows can be painted in any size, in any style and with any view. What you choose to see through your window can be anything you want – from rolling hills or Venetian vistas to Parisian street scenes or tropical beaches. Thee views can literally transport you anywhere you want. 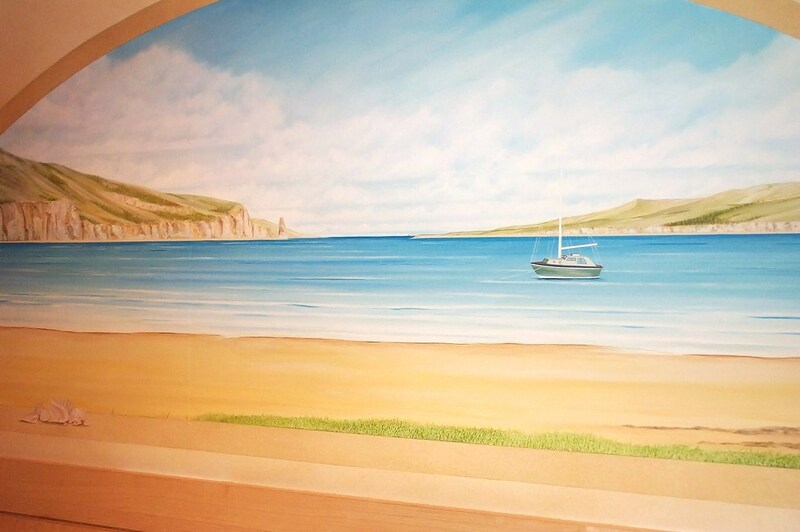 This hand painted seaside window mural was painted on a clients bedroom wall and was truly tailored to suit them. It actually depicts their own sailing boat in one of their favourite places on earth.